I’m late on this post, but I wanted to make sure you got the full details. I hope you love the cover of Helix as much as I do. 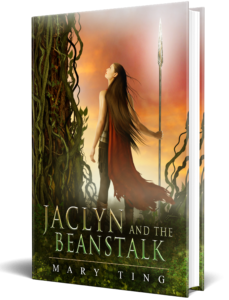 I can’t wait for you to read book 2. Details below. Thank you for your time. Alliances are forming. The resistance is growing. Everything is about to change. 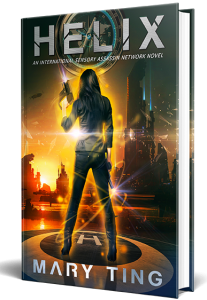 With her memory still fragmented, Ava returns to the International Sensory Assassin Network (ISAN) to find the twin sister she never knew she had. But as Ava hunts for information, she finds herself tangled in a web of yet more lies and conspiracy. 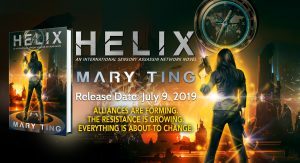 The Helix serum may not be required to access her superpowers, and the number of male assassins—previously considered too volatile to tolerate Helix—is growing in every territory. 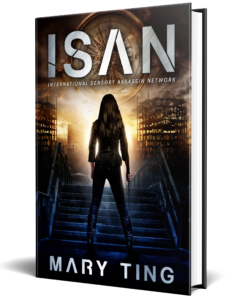 The more Ava uncovers, the more of a threat she becomes to ISAN. Her only salvation may be to join the rebels-if she isn’t killed first. Amazon ebook link coming soon.